Entrance to the temple. Lucanits 2005. 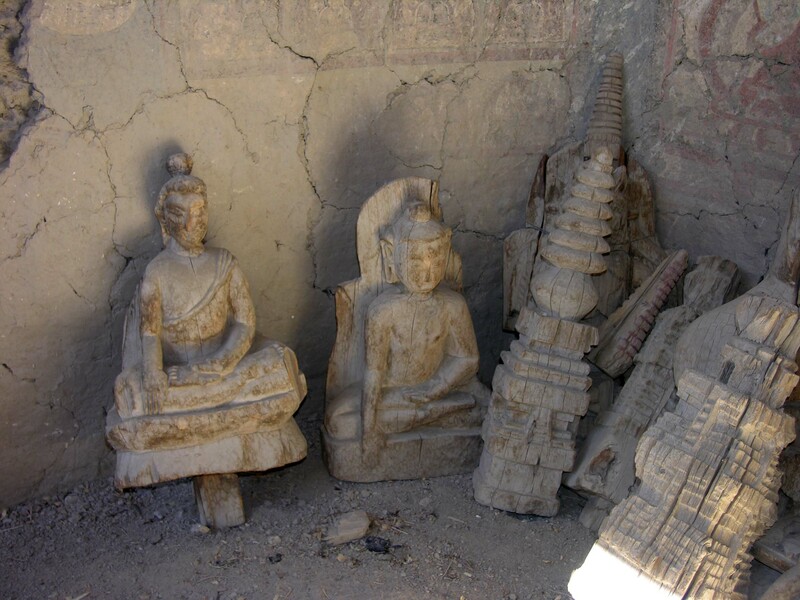 Interior of the temple. Neuwith 2005. Entrance to the chapel ON the western side. Lucanits 2005. 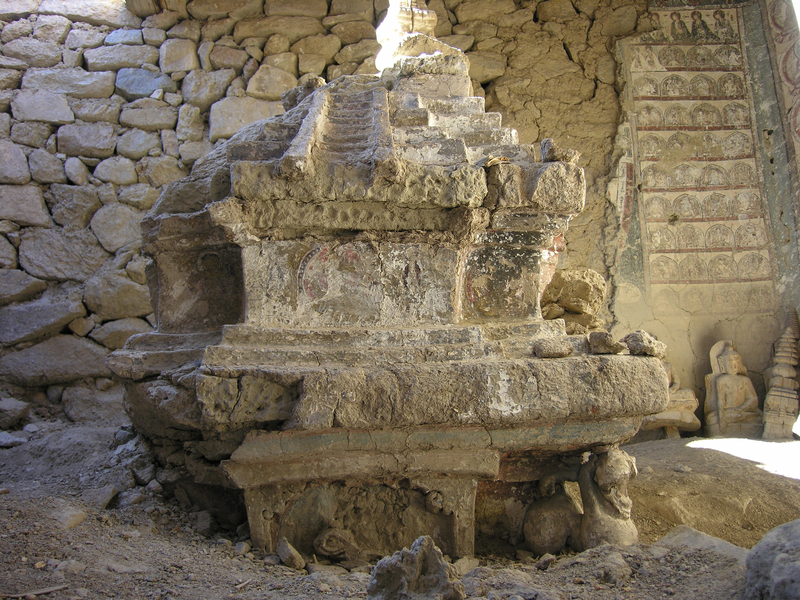 Stupa inside the chapel ON the western side. Lucanits 2005. 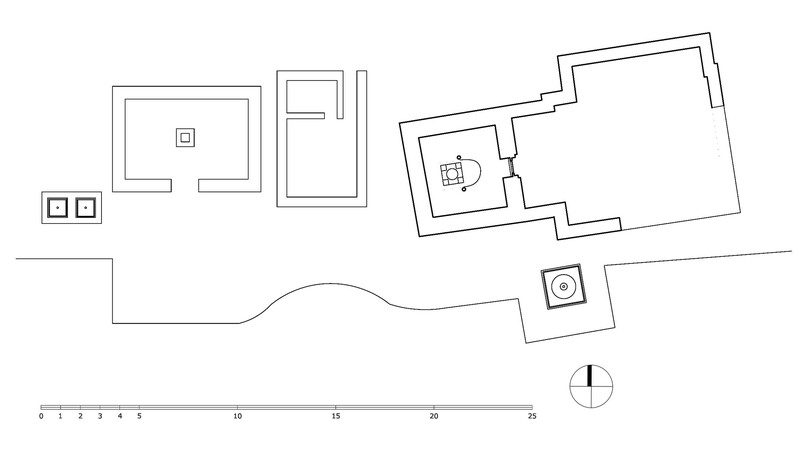 Coordinates of the site: 34°18'43.54" northern latitude and 77° 9'29.97" eastern longitude, at an altitude of 3775 meters. The village of Saspotse (or Saspochey) is located in the northern side valley of Saspol, about 42 kilometres (airline) northwest of Leh. 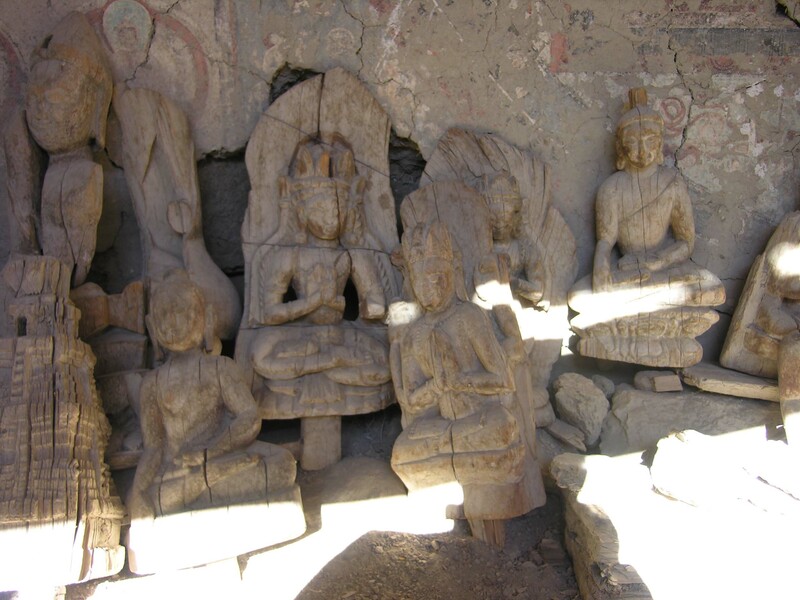 The village is situated on the western slope of the valley, on the trekking route between Likir and Yangthang. 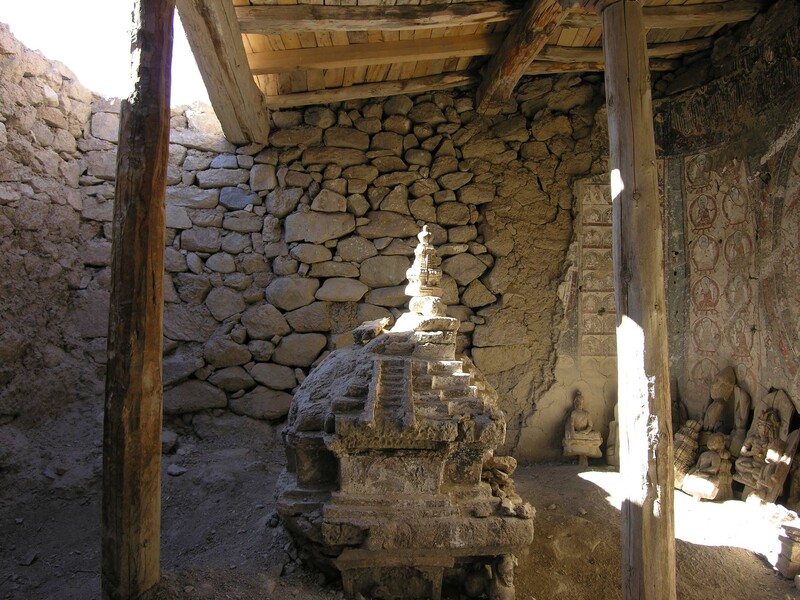 The Temple of Saspotse, also called Saspotse Gompa, or the Ancient Lhakhang of Saspotse, has been preserved as a ruin in a rather derelict state due to the neglect of the villagers. Only parts of the walls and the roof construction have remained. 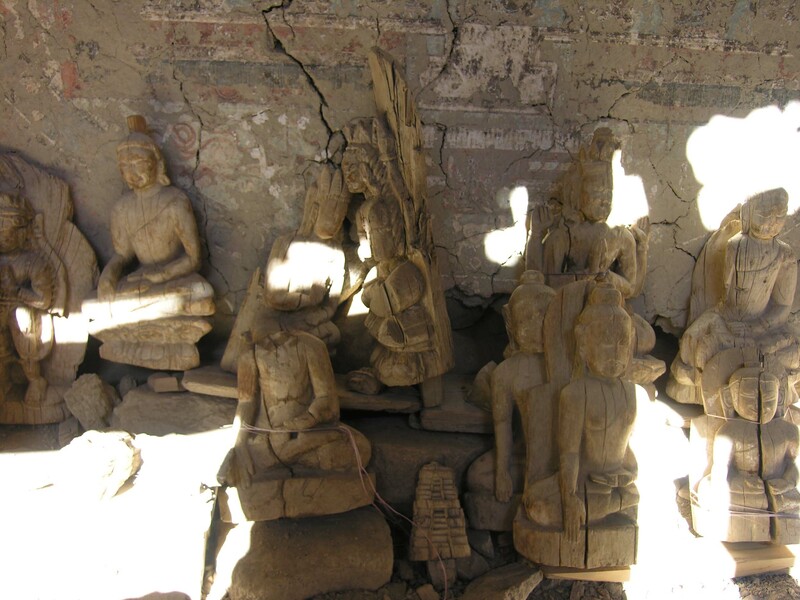 It houses an extraordinary set of carved wooden sculptures and valuable wall paintings which have survived despite the decayed state of the building. 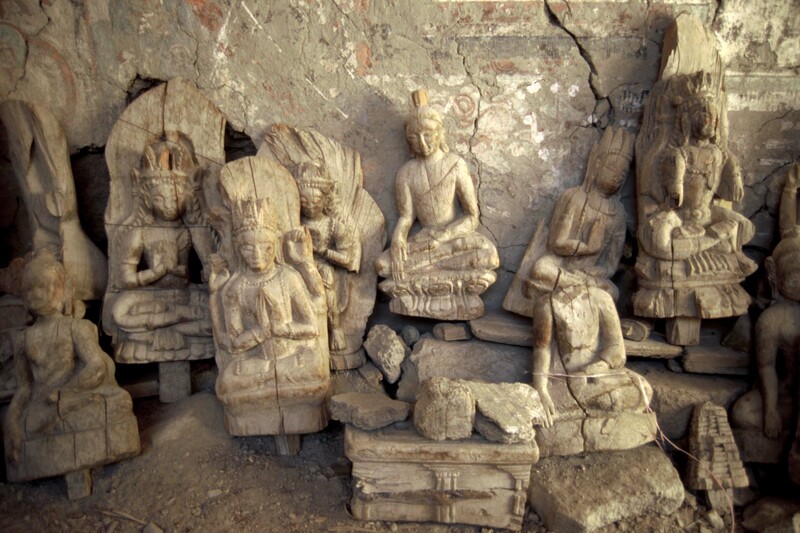 The sculptures mostly show images of the Buddha, some of them also depict chörten structures. 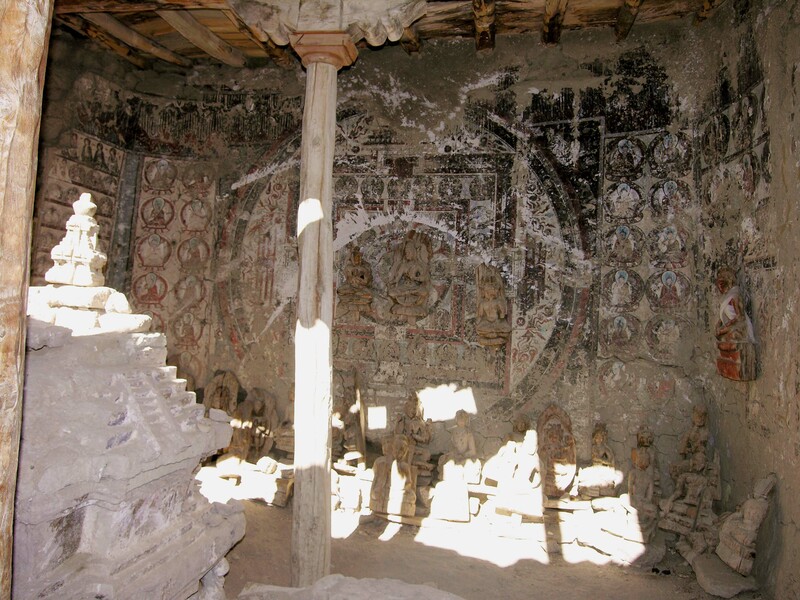 As part of the cultural heritage of Ladakh, these interior decorations are of inestimable historical value. 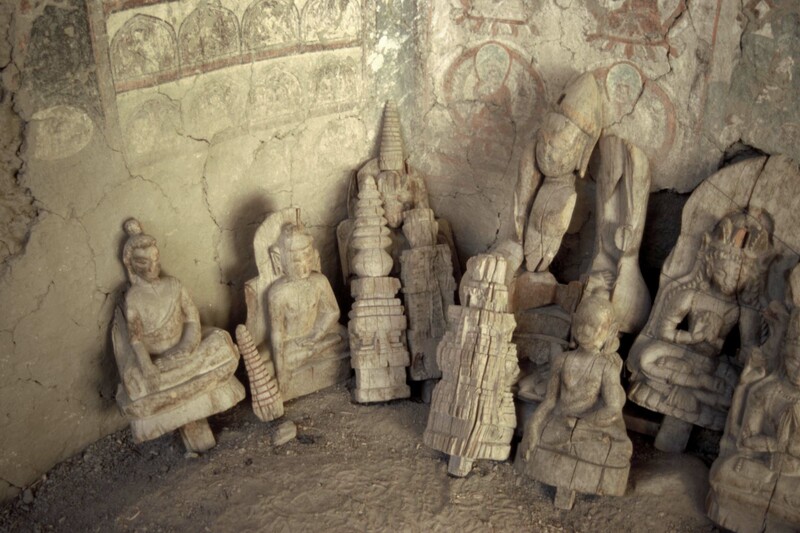 Inside the temple a small chörten made of stone can be found in a good preservation state. 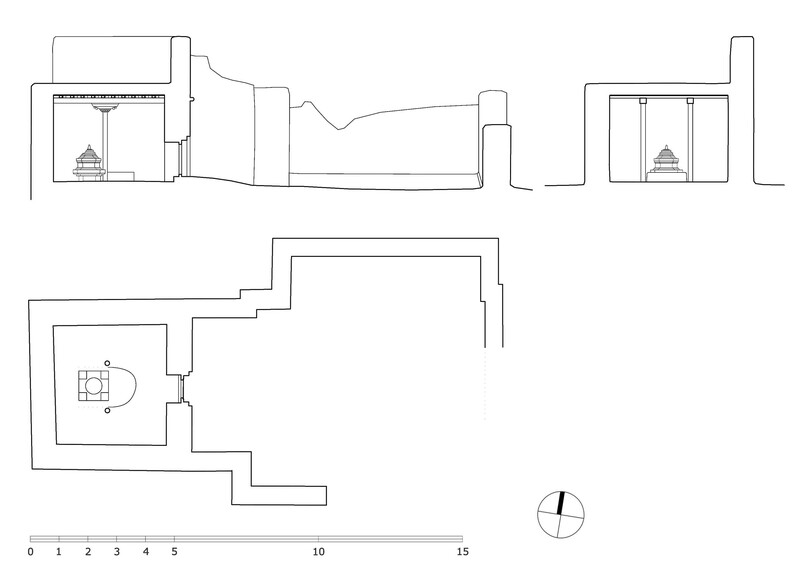 Other buildings of the site only survived as ruins, with some architectural details, such as doors, remaining. 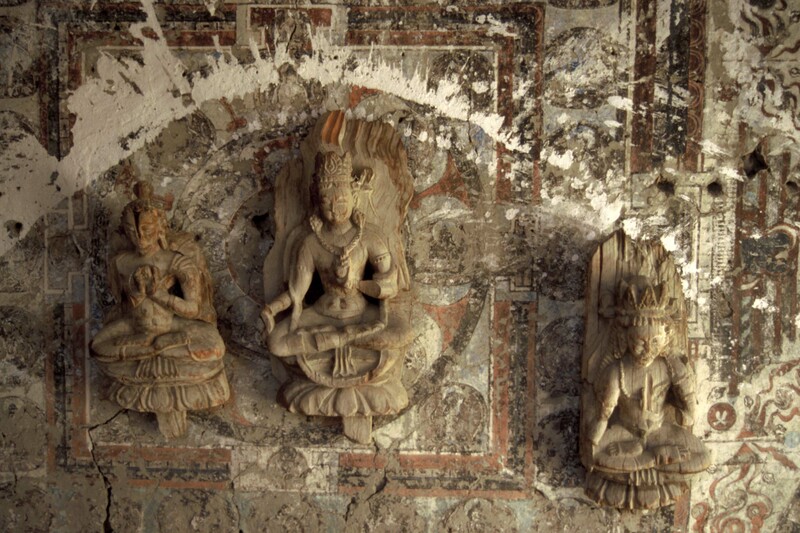 Interior decoration of the temple. Luzcanits 2005. 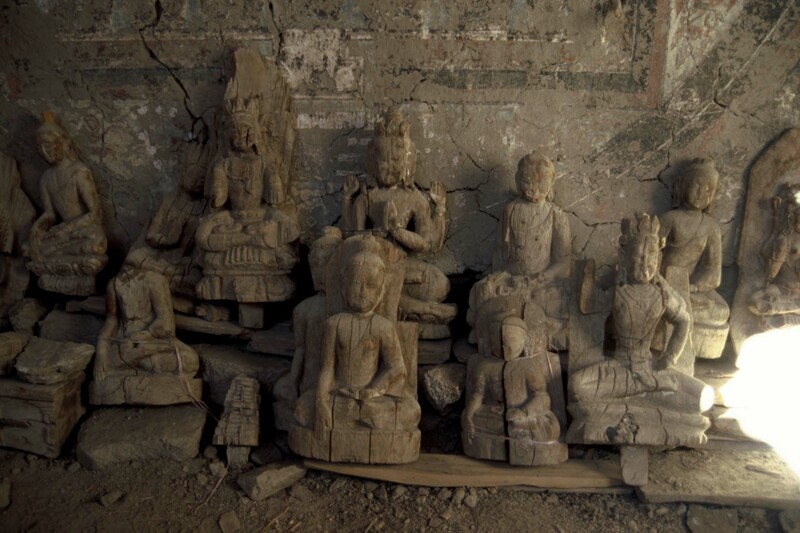 Wooden sculptures inside the temple. Luzcanits 2005.